There are many Torah Jews who live in Jerusalem and around the world, who believe that the world must know that the Zionists have illegitimately seized the name Israel and have no right to speak in the name of the Jewish people! They believe that contemporary sovereignty over the Holy Land belongs to those who have lived there for centuries, the Palestinians. They seek the return of all Palestinian refugees to their rightful land. They seek to live in the land of Palestine as anti Zionist Jews. To reside as loyal and peaceful Palestinian citizens, in peace and harmony with our Muslim Brethren. Just as their ancestors lived in Palestine for centuries before the usurpations of this tragic century. They believe that the Zionist state of Israel is illegitimate in the eyes of God and that it DOES NOT represent Jews or Judaism. They are persecuted by the Zionists, as are the Palestinians, and we should be praying for them. The Jesuits of the Roman Catholic Church have created the modern state of Israel to be able to position their False Messiah, as Jerusalem is the connecting point of the world’s three major religions. The Pope will visit Israel in 2014 and may help broker a peace deal, to supposedly solve the tension between Muslims and Israel. This will also deceive Christians into thinking the rapture will take place soon. 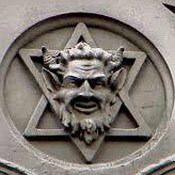 The Pope may relocate to Jerusalem, as it is center stage in their end times deception plan. They do study the talmud. Make some research before you get write. Point taken. Some Jews do study the Talmud, some don’t, so I removed the blanket statement that Torah Jews don’t. Maybe you should research what those Torah Jews are saying about Zionist Israel. Are these words under the heading JESUS CHRIST the words of Jesus Christ – dated march 13, 2015, at 1:54 pm? If so, there is a problem. Firstly: to quote – “It doesn’t even matter what my father says. It matters what I say.” Jesus Christ only ever spoke what His Father in heaven gave Him to say. But the last sentence says ‘My father will…(etc)” Either it does matter or it doesn’t matter. It can’t be both. Jesus Christ never contradicted His Father in Heaven, nor did His Father in Heaven ever contradict His Son Jesus Christ. Perhaps you need to rewrite your point. As for me, I do not in any way legitimize any of the activities of lawless men whatever there ethnicity. And by lawless I mean void of God’s law in and through them. I believe the Scripture that plainly says “And so all Israel shall be saved, as it is written, There shall come out of Zion the Deliverer and shall turn away ungodliness from Jacob.” Romans 11:26 This Almighty GOD WILL DO! God promised Abraham a piece of land from the river of Egypt to the river Euphrates (Gen 15:18; Moses -Deut 1:7; 11:24; Joshua -Jos 1:4; David- 1 Chron. 18:3 God had confirmed this promise to Isaac (Gen 26:3) and Jacob (Gen 28:13). In Solomon’s reign, this was fulfilled, for his rule was not one of war but of peace; his father David took all the promised land by warfare. Israel (10 tribes) was sent cative to Assyria for rebellion; Judah was sent to Babylon later for the rebellion. Under Ezra and Nehemiah the ‘Jews’ re-established their God given right to the land of their forefathers. God said in Ezekiel 37, that He would cause the house of Joseph (Ephraim, and his fellows – the other tribes of ‘Israel’, and the house of Judah to become ONE in HIS hand. And He would gather them from every place where they had been scattered, and bring them back to the ‘mountains of Israel’ as one nation and they would not be two ntaions anymore. This has happened in part to the present time. Other details of the prophecy have yet to be fulfilled – returning to God and worshipping Him in truth. The fact that Rome is involved in the whole story and the international bankers etc etc, is not much different to many other events in modern history. God uses corrupt man to serve His holy and faithful purposes. Israel may be one of he most godless nations on earth at the moment, but when God opens their eyes to the true Messiah – Yehoshua – Son of David, Son of God, they will turn completely to Him, though it be a remnant. The rest will perish. However, God’s word will not return void but will accomplish that for which He has sent it to do. Paul himself states by the Holy Spirit that “all Israel will be saved” for God will turn iniquity away from Jacob. And in verse 29 the Holy Spirit witnesses that God’s gifts are given without repentance. When God promised Abraham and his descendants the Land of Canaan, He was serious. It mattes not what Torah Jews say, or what Rome says, or what the UN says, oir what I say. it matters what God says. The promises of God are yes and amen. It doesn’t even matter what my father says. It matters what I say. My promise is to the people of Israel. Israel is the Palestinian Christians, Muslims and Jews whose existence is threatened by the European Khazarian anti Jew Zionists. Israel government is not the law of God. My father will wipe Israels enemy the Zionist state from existence and restore His real land of Palestine. So how do we know the comment supposedly from J.C. really is from Jesus Christ? Only Truth will let you know if Jesus really posts in the comments section on the internet. Besides, this website requires your email to post so the admins have his return address, ask them and you’ll have direct communication to the Son of GOD.